Laura Sell is the Law Practice Managing Partner at the Pacific Northwest family law firm McKinley Irvin. As a former civil litigator, Laura brings extensive and diverse experience in a variety of complex legal and financial issues to her family law practice. She excels in cases involving high-value assets, closely-held businesses, professional practices, and complex compensation structures. Laura also often serves as a mediator and settlement conference master in family law cases. She uses her understanding of the pressures people face during a family law matter to help them work past their differences, resolve their disputes, and settle their cases. 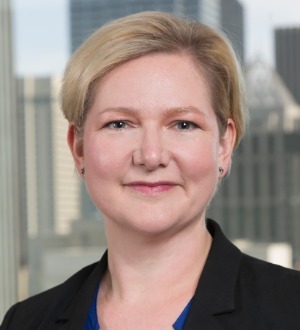 As the Law Practice Managing Partner at McKinley Irvin, Laura also leads the firm’s attorneys in practice development, training and mentoring, as well as consulting on cases and ensuring the firm's high standards of quality.